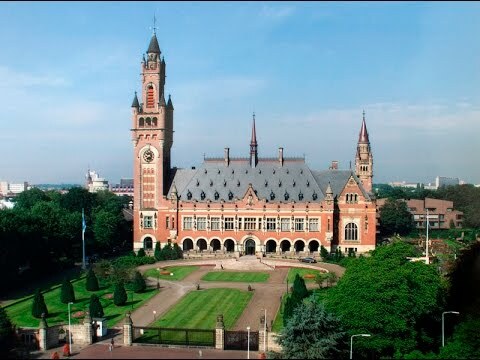 On some weekends throughout the year and for a couple of weeks in summer, the famous Peace Palace in The Hague opens its doors to the public. A guide will tell you about the building and about the institutions housed in it. A tour through the Great and Small Hall of Justice, the corridors and the Japanese Room will give you an impression of the most beautiful rooms of the Palace. Tours have a duration of approximately 45 minutes and are offered in Dutch and in English. A group consists of a maximum of 20 people. We recommend you to visit the exhibition and watch the film in the Visitors Centre before participating in a guided tour. Please note: Visitors are admitted only with a passport of European ID card. It is not permitted to take pictures inside the Palace. Tickets for a guided tour are only sold on the website of the Peace Palace. A ticket costs € 11,-. There are no discounts. Children up to 7 years old can participate in a guided tour for free (with a maximum of 2 children per adult). When you book, check the English website of the Peace Palace. The Peace Palace has limited access to strollers, wheelchairs and walkers. Unfortunately, mobility scooters cannot be admitted. The guided tours are not recommended for young children.